Good health leads to good business. Good health includes good mental health. It is estimated that the cost to American employers from lost productivity and absenteeism due to unaddressed mental health challenges is $80 to $100 billion annually. 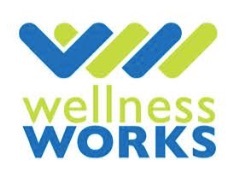 Along side our partner Wellness Works, we provide a workplace education and training program that raises awareness and reduces stigma around issues related to employee mental health, while building capacity for organizations to address issues more effectively, and create psychologically healthy workplaces. Our award-winning suite of training products have been evaluated as effective in reducing stigma, which is crucial for organizations to successfully manage mental health in the workplace. We frame workplace issues through the lens of psychological health and safety, disability rights, and human resources and business best practices. One in four Americans will experience a mental illness in their lifetime. Most will have a significant episode during their working life. Employers play a significant role in their recovery, and in the ongoing mental health of all employees. We deliver engaging and interactive training for supervisors, managers, union reps, human resources professionals and employees, while offering strategic perspectives for senior executives to address systemic, organization-wide solutions. Our trainers are workplace mental health specialists who are uniquely qualified to deliver our powerful program to a business audience. Our clients tell us that turnover has significantly declined and that managers are much better equipped to recognize when an employee is struggling and intervene appropriately as a result of our unique training. Do you have employees who are struggling? Do you feel uncomfortable talking about mental health in the workplace? We can help.